If you are white collar employee, then it is likely that you will be required to remain seated at your desk for many hours each day. This certainly puts a lot of strain on your body. This could often lead to a number of health problems, and back pain is perhaps the most common of them all. The reason for this is quite simple to understand. It is because of the constant sitting put static pressure on the body and this is all the more evident in certain areas of the body like arms and legs, shoulders and back. This when continued for long periods of time could lead to the development of various conditions. It also leads to increased pressure in areas such as spinal discs and back muscles. Further sitting postures also become incorrect because of such working habits in office. You could find yourself slouching over on the chair which certainly puts quite a bit of strain on the spin and the discs. If you let things drift the way they are, over a period of time it could lead to a crippling situation. It could also prevent you from lying down comfortably. It could lead to reduced effort on your work and you career might also suffer negatively. You must therefore find out ways and means by which you can avoid the problem and one solution could be finding out the right office chair. 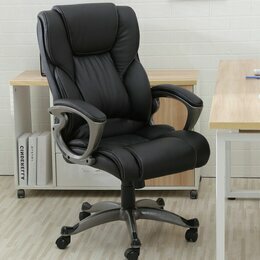 There are reasons to believe that well chosen office chairs can reduce stress. You must know where to start and the first step would be to look for an office chair which comes with an ergonomic design. This will help your body and more so the spinal cord to get the right kind of protection and also provide you with the much needed comfort. Yes, you may have to spend some big money buying these chairs but you could be free from many problems which otherwise could have bothered you continuously for your entire career. Your health at any point of time should be the most important priority and it does not matter if you have to spend money for it. If your job requires that you should sit for long periods of time, then you must look for an office chair which ensure that you always sit straight. However, this again could put quite a bit of pressure on your back. This is where ergonomically designed chairs could help in more ways than one. These chairs come with a feature which allows them to tilt back. This gives you the chance to lean on it and provide some rest when you feel that tiredness and fatigue is creeping in. It could be a great way to soothe tired back muscles because of sitting in one position for a long period of time. It would be better to look for chairs where backrests come as an independent attachments. This will help you to reach a comfortable position with ease and you can adjust the back rest according to specific needs and requirements.